Check out the press release for this new kickstarter - Nightmares! A new interactive horror series is coming soon. 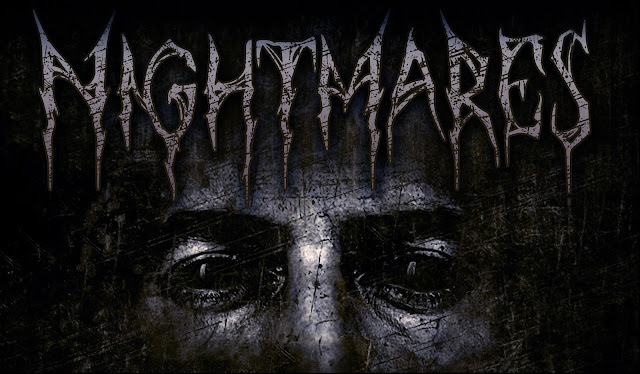 “Nightmares” - An in-depth nightmare re-enactment series has launched on Kickstarter. Nightmares are one of the very few experiences that connects every living person on the planet. The series dives deep into the minds of people that have suffered from terrible nightmares and then, in a brand new format, various medical and mental health professionals attempt to explain the cause of these terrible experiences, segment by segment. If the medical professionals are stumped, paranormal investigators step in. But it gets better. When living in the world of Nightmares, medical experts may not be able to pinpoint the obvious source of the nightmare. If this happens, Nightmares has partnered with Hollywood Ghost Hunters, led by Kane Hodder (Jason VoorheesI, in Friday the 13th part VII, VIII, Jason Goes To Hell, etc), who will conduct a paranormal investigation in the area where the nightmare occurred, searching for answers. Our first Nightmare comes from a man that started having nightmares after working for Clive Barker’s Seraphim Films. Kane Hodder and his team performed a paranormal investigation... in Clive Barker’s house. A true life, character crosses over with a thick vat of paranormal dumped on it; Jason visits the happenings at the Hellraiser house. A hair-raising episode with some of the greatest horror icons immersed in the passion of the genre. Speaking of Clive Barker, his art work serves as a backdrop for the series in season one. Nightmares has partnered with Century Guild and each episode will feature different pieces of artwork from the mind of a master of horror himself. The artistic back drop is expected to change from season to season. Attached to the show are a number of artists featured on highly popular SyFy show Face Off. Fan favorites and champions Rayce Bird, Logan Long, Cig Neutron, Drew Talbot, Keaghlan Ashley, Rashaad Santiago, Cat Paschen, Niko Gonzalez, George Schminky, Julian Bonfiglio, Wayne Anderson, Gage Munster, Jaime Leodones, Stevie Calabrese, George Troester, and J Anthony Kosar just to name a few. These SFX all-stars compile some of the incredibly talented artists that have come together to make monsters for Nightmares. This Dream Team of artists will rotate so the audience gets to see all of these champions build the monsters in an accompanying webseries available on the Nightmares website. Nightmares picked up Director of Photography David M. Brewer, who chilled audiences of Insidious and countless other horror films. Each episode will produce new, original monsters. The audience are able to choose which one they want to see in a feature film... as well as which actors... even locations. The Nightmares Team have listened to their fellow the horror fans and are prepared to influence the shape and direction of interactive horror in the entertainment, and its audience forever. While the series itself has yet to look for a network to call home, they have already begun shooting various segments to drum up some buzz. So far Lisa Wilcox (Nightmare on Elm Street 4 & 5, Star Trek: The Next Generation), Chloe Dykstra (Heroes of Cosplay), Doug Jones (Hellboy, Pan’s Labyrinth, Crimson Peak), Philip Friedman (Insidious), Nicholas King (Sinister), Douglas Tait (Freddy vs Jason, Teen Wolf) have been seen on the Nightmares set as well as a few endorsements from other soon to be announced horror icons. A show like this has never been done before. It’s a show that is powered by fans, hosted by icons, explained by science, with monsters made by champions, all while keeping the fans actively engaged. And in true independent fashion, they have launched a Kickstarter campaign to finance the pilot episode of the series which can be viewed here.